Taraji P. Henson is on the promo trail for her new film 'The Best of Enemies' and yesterday evening(April 4th) she attended the premiere at the AMC Loews Lincoln Square in New York City. Working a custom look, she wore a PHILOSOPHY DI LORENZO SEREFINI navy long sleeve velvet floor gazing, backless gown, which was adorned with padded shoulders and 300,000 blue Swarovski crystals. The gown is simple and cute but the fit on the torso is off. Also I would shorten the hem above the ankles and swap out those SERGIO ROSSI pointy toe pumps for silver metallic sandals. She finished up with ROBERTO COIN jewelry and a complimentary beauty look. 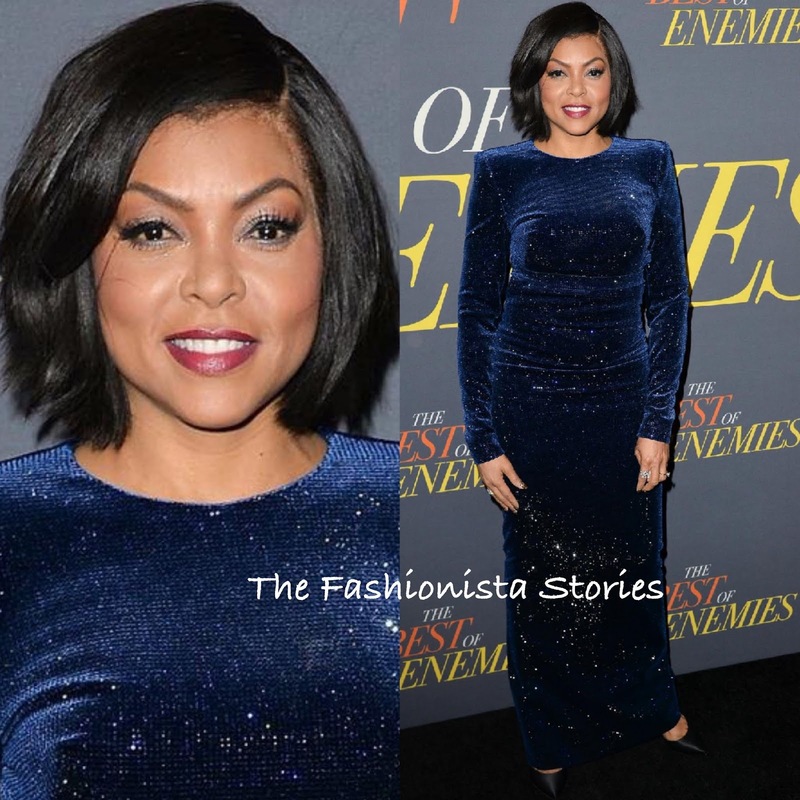 What do you think of Taraji's custom look?